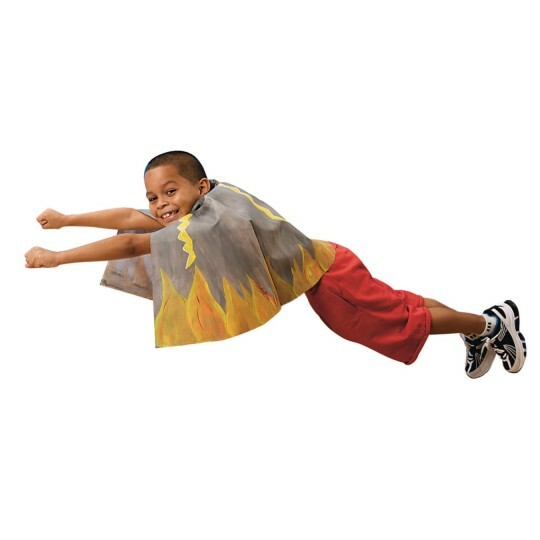 Durable 18"L nylon capes are great for your 2 to 5-year-old super heroes! They can be a king, princess, pirate, Robin Hood – even a bug or fairy! 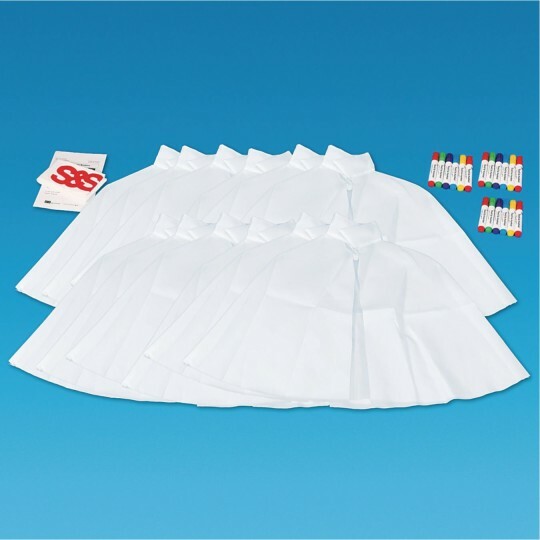 Includes fabric markers and instructions. I've used these with my campers for years will continue to for years to come. Every childenjoyed the project. The children loved this project! I used these for my daughters 4th Super Hero Birthday Party. It was a crafty activity the kids participated in as well as the party favor. I liked that the capes came with several markers per package. If I were to reorder I would purchase the larger size. The mini capes were almost too small for the 4 and 5 year olds that attended the party. I would definitely recommend this. The kids had a blast. I used this as a VBS craft for our Pre school class at Church with stick on decorations from SS it made it an easy craft for small children. 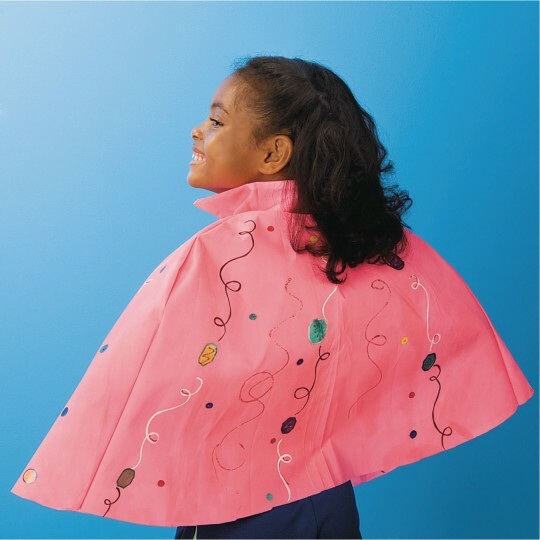 Last year I bought sheets and cut out the capes for 60 kids....this makes this project much easier.